An overview of VDO RoadLog™ Office, the simple, affordable, online fleet management system that offers compliance for FMCSA regulations and the 2017 ELD mandate. VDO RoadLog™ Office is available in three service levels, VDO RoadLog™ Office Solo, VDO RoadLog™ Office Advanced and VDO RoadLog™ Office Premium, to help provide coverage for Owner Operators and large fleets alike. VDO RoadLog Office works with the VDO RoadLog ELD and VDO RoadLog ELD Plus to automatically audit, organize and archive your electronic log data. VDO RoadLog Office uses GPS and odometer data from each vehicle’s electronic logging device to automatically create an IRP and IFTA Miles-by-State Report for each vehicle. VDO RoadLog™ ELDs produce pre- and post-trip inspection reports, which are automatically compiled in VDO RoadLog™ Office for easy review and reporting. Driver’s Vehicle Inspection Reports (DVIRs) export and print at the click of a mouse. Fleets using VDO RoadLog™ Office Premium can send and receive text-based messages to and from their driver’s ELD. Fleets using VDO RoadLog™ Office Premium have access to the digital Whiteboard, a powerful fleet management tool that allows fleet managers to manage drivers, vehicles, loads and trips remotely. Whiteboard also allows fleets to track their vehicle locations and statuses. VDO RoadLog Office gives fleet managers a detailed view of where vehicles are and where they’ve been. Fleets the subscribe to VDO RoadLog™ Office Advanced and VDO RoadLog™ Office Premium service levels have access to the Vehicle Position map view, which shows the last recorded position of each vehicle. Fleets using VDO RoadLog™ Office Premium allows fleets to easily and affordably monitor their drivers and their performance, which reduces operating and insurance costs, and lowers liability exposure. The reports list includes incidents such as harsh driving, failure to wear a seat belt, speeding, over-revving, and excessive idling, and offers a Driver Scorecard view for any selected driver. An experienced owner operator tells why VDO RoadLog ELD was the right choice for his operation. John Coakley, Fleet Manager, Kline Transportation, tells how his fleet was able to quickly adapt to VDO RoadLog. Henry Albert, Overdrive’s 2007 Trucker of the Year, shares his experiences using the VDO RoadLog ELD. RedEye Radio host, Eric Harley, talks with Jay McCarthy and Mike Kollar of Continental’s RoadLog ELD team during the 2018 Mid-America Trucking Show in Louisville, KY. 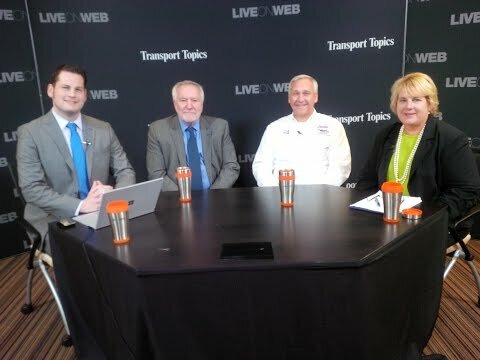 Listen in as they discuss important details on the ELD mandate, performance issues with cell phone ELDs, and key features and benefits of the VDO RoadLog ELD. Transport Topics Technology Editor Seth Clevenger and a panel of experts discuss what fleets and drivers need to know to successfully meet the mandate to install electronic logging devices.